A jigging spoon, designed to take on deep water, especially in cold conditions when bass shutdown. This is one of the few hard lures that Norio Tanabe has continuously used in winter over many years. Making use of his experience to create a lure that catches fish, he has crafted METAL WASABY. An original design the unique shape is perfectly balanced to make the lure slide fall and wobble in an irregular manner. 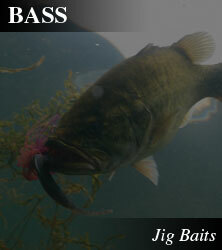 The special alloy metal body makes an attractive sound when struck by the attached hook to attract bass. METAL WASABY works well when searching out bass with the sonar, and targeting them directly. This is the perfect metal jig that all jigging masters have been waiting for. Balanced shape for irregular wobbling and slide fall. The dimpled surface creates friction for a slow wobble fall. Hammered finish for characteristic suppressed appeal. For more tactical and high level spoon jigging game, use the original and hammered lures for differing fall speeds and flash effect. Differing flash effect extensive paint colour range. Alloy body for attractive sound.